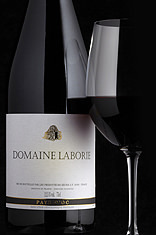 I bought a bottle of Domaine Laborie on Friday to take to my in-laws over the weekend, I have had this wine aaaaage ago in an under £x mixed case when I was first getting into wine. Full of deliciously ripe and brambly fruit, this Languedoc blend of grenache, carignan and syrah consistently hits the sweet spots for flavour, price and quality. Unsurprisingly, it’s long been a popular pick for members’ wine racks. Tried the latest vintage and its cracking value for what you get, everyone who tried it over the weekend really enjoyed it - its not special or complicated but just a great easy drinking juicy fruity wine.